You can always be certain that when talk turns to money, particularly large amounts of money, that interest will be piqued, and ordinarily reasonable people will start to look at where their share of the pot is. This week we’ve seen a couple of fairly outrageous claims being made about who is owed what after the successes achieved by Facebook and Huffington Post. These are no where near the first claims against online businesses, but both could prove to be incredibly significant. If’ you’ve missed out on this one, the story goes like this: Between 2003 and 2004, Mark Zuckerberg was working as a freelance coder Paul Ceglia on the development of a service called StreetFax. At the same time, he was working on a separate project of his own which was referred to as the Harvard Site, but which quickly became Facebook. Ceglia claims that he invested $1,000 into the project, and received confirmation that in return for his investment, he would receive a 50% share in the completed website. Not bad, given the current valuation of Facebook at somewhere in the region of $70 billion. There are emails to back this up of course, although as you would expect, Facebook’s legal team are dubious about their authenticity – and the reason for the 7 year gap in Mr Ceglia getting around to making his claim. 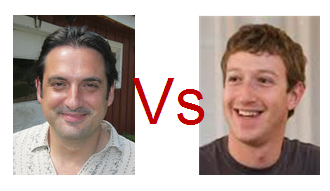 Ceglia is not the first person to make this claim about Facebook, the Winkelvoss twins who were involved in a similar project to Facebook at a similar time, and had a number of their ideas included in Facebook are both better off to the tune of several tens of millions of dollars after making a successful claim. In the case of the class action against Huff Po led by Jonathan Tasini, the charges are somewhat different. Mr Tasini was one of many bloggers and journalists who contributed their content to the website free of charge for several years. Now that the site has been sold to AOL for $315million, and the annual profit from advertising has been publicised at $31 million, it seems that he is unhappy that he was not rewarded for his work, and has launched a class action suit against AOL / Huffington Post with a claim for about $105 million. His argument is that it was the content provided by him and other writers that established the site as a successful platform, and contributed heavily to the valuation it realised when sold. As such, he believes that the writers working on the site should have been rewarded – especially given the profits that had been generated over the course of the last few years. As with the Facebook case, this is not even close to being the first action against Huffington Post. Last year, Arianna Huffington and Ken Lerer were sued over claims that they stole the idea of a liberal website from Peter Daou and James Boyce. There may be some merit to Mr Tasini’s case were it not for the fact that throughout his relationship with Huffington Post he had been completely aware of the fact that his reward as a contributor was awareness, rather than financial. Scarcely a week goes by without stories hitting the headlines about a company claiming that someone had infringed their patent, or that a piece of content had been plagiarised. The mobile phone industry is particularly active in this area – Nokia hold thousands of patents which they licence to other manufacturers, and in turn have reciprocal agreements for the use of other technology. 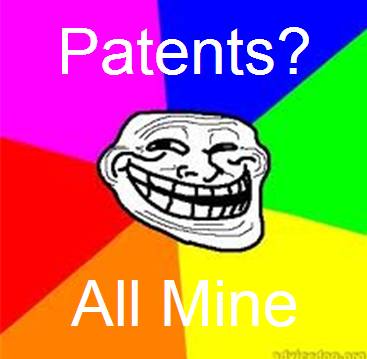 Patent Trolling is big business, with a lot of companies set up in Texas specifically to own and administer tech patents that can be invoked at a later date. Some people argue that success breeds greed, and this may be true to a certain extent, someone sees the success of others, and try to get a slice for themselves. Others claim that a lot of the patents that are issued are bunk, broad claims about a process that can then be applied further down the line to describe a variety of different things equally. Looking at the two cases above, it seems that the biggest crime is that of naïveté. Naïveté in the case of Tasini that he was contributing to anything other than a profitable business, and that at some point, the owners would want to cash out, and naïveté on the part of a young Mark Zuckerberg that telling people about your fantastic idea before it is ready to fly will allow them to claim later about how they were instrumental in getting it off the ground. Ceglia might get his pay day. With a looming IPO, Facebook will want to get rid of any lawsuits pretty quickly, and if there is the remotest chance of him being right in his assertions, then I would expect a pay off for him just to get the case out of the way and protect the bigger issue. Oddly, the Tasini case could have much wider implications for Facebook than it might seem. If the case gets to court, or even if Huffington Post were to concede that there was some merit to it and pay off Mr Tasini, it could encourage a huge shift in claims against Facebook. If Mr Tasini and the other contributors to Huffington Post were deemed to have been a key factor in the valuation at sale, and were rewarded by the courts, then arguably, anyone with a Facebook, or a Twitter account could make the same claim about their part in generating the value. If Facebook went to IPO with a per user valuation of $10, would I have the right to claim a percentage of that $10 value for every person I directly influenced in joining. The one thing you can say about Facebook now compared to when it was a dorm room project is that they have the legals tied down. Every time I update to the new privacy settings, I accept a set of T&Cs that I should probably read in more detail, but which give ownership of my content to Facebook. You don’t make the same mistake more than once.